Because our world revolves around you. We’ve spent years on research and development testing a proprietary technology on the fabric interior to keep you cool, dry and comfortable, with a fabric exterior that repels fluid, soil, and stains. Our lab coats have the highest possible rating in the industry when tested for strength, soil release, and fluid repellency, which is why we proudly back up our warranty for a full year. ElevatedAdvanced performance fabric that looks and feels luxurious with sleek construction that lengthens and slims. Medelita white lab coats exude sophistication, confidence, and indelible aptitude. Medelita lab coats for doctors and medical professionals represent the highest standard in the world in terms of innovative fabric and a flattering, comfortable fit. 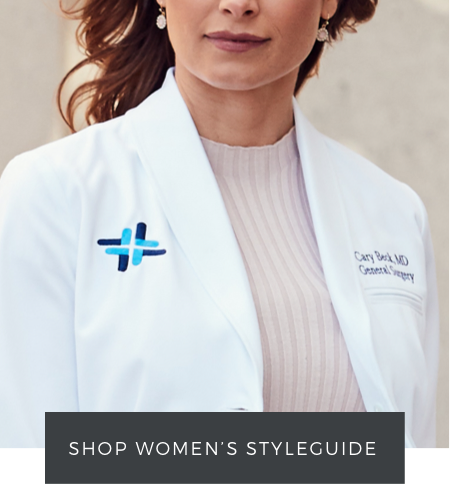 Our collection of professional white lab coats and jackets provides a premium option for medical staff in every specialty, in every body type, and gender-specific for a look and feel more like what you'd find in a blazer than in a typical lab coat. Our distinct lab jackets offer details like reinforced, french-finished seaming, tasteful trim detail, intuitively-placed pockets, and extremely durable buttons. Our lab coat fabric is patented to provide first-of-its-kind hydrophilic and hydrophobic properties to pull moisture away from your body while repelling fluids on the outer surface. 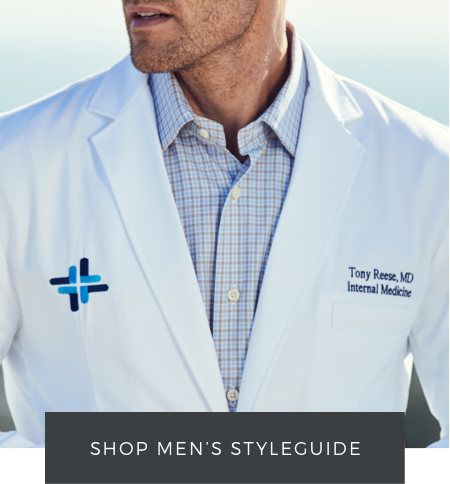 The result is a lab coat that keeps you comfortable and stain-free all day while looking and feeling confident and professional in a classic white coat style. Find your style today below!